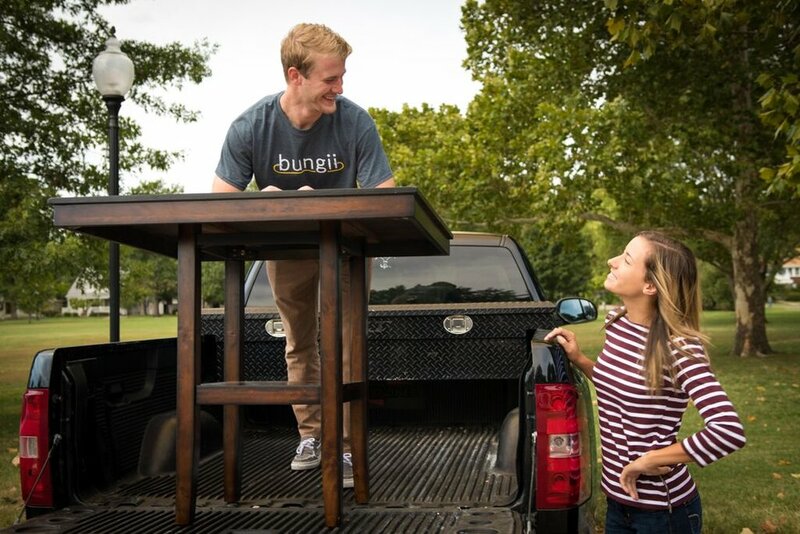 Friends don't let friends rent trucks, they tell them about Bungii. It happens all the time: the bunk bed you just bought at IKEA for the twins doesn't actually fit in your trunk. No worries, the twins are sleeping in their new bunk bed tonight thanks to Bungii. Small cars + college move-in day = problems. Yes, your son may be able to fanagle his futon and 86'' flat screen TV to your Corolla's roof... but we probably wouldn't recommend it. Want to Drive with Bungii? Turn your truck into a money-making machine. With Bungii, work when you want and earn up to $40/hour.